Welcome to the city of Ypsilanti, Michigan…commonly known as Ypsi for short. Ypsilanti is located in Washtenaw County and is home to Eastern Michigan University. According to the 2010 census the population of this city was 19,435. Both Superior Township and Ypsilanti Township are part of this city, located just six miles east of Ann Arbor and thirty-five miles west of Detroit. The Huron River flows through Ypsilanti making the city 0.19 square miles of water with 4.52 square miles being land. One visit to “Ypsi” and there’s a good chance you might not want to leave. 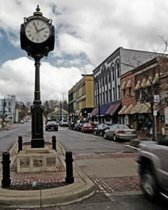 What makes this Michigan town stand out from all others? Let’s begin with a town with 2 downtown districts: the depot district and the downtown district; both offering their own historic flare and an array of community events. The town still boasts a colorful history and between the two districts you’ll notice a plethora of cultures displayed in the art, music, shops, and architecture. Traveling beyond the downtown districts you’ll discover over 23,000 acres of recreation and public park areas. Expand your visit to the neighboring towns of Ann Arbor and larger Detroit. Ypsilanti is progressive while offering a sense of community, making this town an exciting place to visit …or call home. You’ll feel right at home in this Michigan college town. What was once a trading post established by a French-Canadian fur trader named Gabriel Godfrey, Ypsilanti was established as a settlement in 1823 by Major Thomas Woodruff. After the town was incorporated into the territory of Michigan it was known as Woodruff’s Grove. Meanwhile another community on the west side under the name “Ypsilanti”, named after the Greek War Hero Demetrius Ypsilanti, was formed in 1825. In 1829 the two communities merged and Woodruff’s Grove became known as “Ypsilanti”. Today a bust of Demetrius Ypsilanti stands between a Greek and a US flag at the base of the Ypsilanti Water Tower. Ypsilanti has made its mark in the automotive industry beginning with the production of the Ace car by Apex Motors from 1920 to 1922. Preston Tucker designed and built the prototypes for his Tucker ’48 in the city of Ypsilanti. Kaiser and Frazer model cars were produced in 1947 by Henry J. Kaiser and Joseph W. Frazer after they purchased the Willow RunB24 Liberator bomber plant from Henry Ford in 1945. General Motors stepped in and purchased the plant converting it into its Hydramatic Division (Powertrain division). The GM Powertrain Division stopped al production at this location in 2010. The last Hudson auto dealership was located in Ypsilanti, and the site of the once famous dealership can be visited at the Ypsilanti Automotive Heritage Museum. People refer to Ypsilanti as the ‘Brooklyn’ to Ann Arbor’s Manhattan. Land value and taxes in ann Arbor have increased over the span of several decades, causing many people to relocate to the neighboring city of Ypsilanti. With a colorful underground scene, Ypsi has become the happening place to be for poets, musicians, and artists alike. 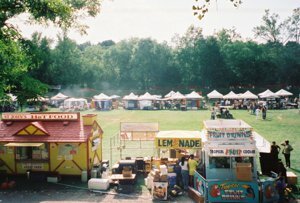 Enjoy summer festivals located in the Depot District along the banks of the Huron River. Annual festivals such as the Ypsilanti Heritage Festival, the Elvis Festival, the Michigan Brewers Guild Summer Beer Festival, and the Orphaion Car Festival, are a few festivals that draw large crowds from the town and surrounding communities each years. Performing art centers include the riverside Arts Center overlooking Riverside Park, and the Ypsilanti Greek Theater. Enjoy a classic car show at the Depot or visit the Hudson Auto Museum. Outside venues make it possible to enjoy local and popular musicians from surrounding areas. Enjoy a free outdoor concert each Friday night at the Ypsilanti Outdoor Music Festival Downtown. Thousands of Elvis fans travel to Riverside Park each year for the annual Elvis Fest. Some of the most talented Elvis entertainers from around the world are there to pay tribute to the King of Rock and Roll. This is the largest Elvis Music Event in North America. The Ypsilanti Jamboree attracts people from across the nation as talented musicians take the stage. Ypsilanti is a city packed with things to do. Go to an art show, attend an outdoor concert, or take in some of the best dining in the state of Michigan. For all who enjoy the great outdoors don’t forget to visit the Tridge…a three-way wooden footbridge under the Cross Street Bridge over the Huron River. The city has a variety of public parks that provide plenty of recreational opportunities, playgrounds, sports, fishing, and festivals. For a list of parks and public facilities log onto: http://cityofypsilanti.com/EventsRecreation/ParksFacilitiesInformation/ParksFacilitiesDirectory. Ypsilanti Public Schools and Willow Run Community Schools merged in 2013, forming a new united district. Ypsilanti is a college town, home to Eastern Michigan University. Ypsilanti is also home to Washtenaw Community College. 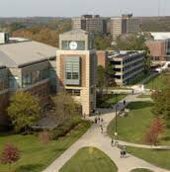 The main editing site of the Linguist List… a major online resource for the field of linguistics is also located in Ypsilanti. You can visit Ypsilanti Community Schools website at: http://www.ycschools.us/ . Ypsilanti, the perfect progressive city is waiting for you. The college town with great vibes is the happening place to visit or call home!